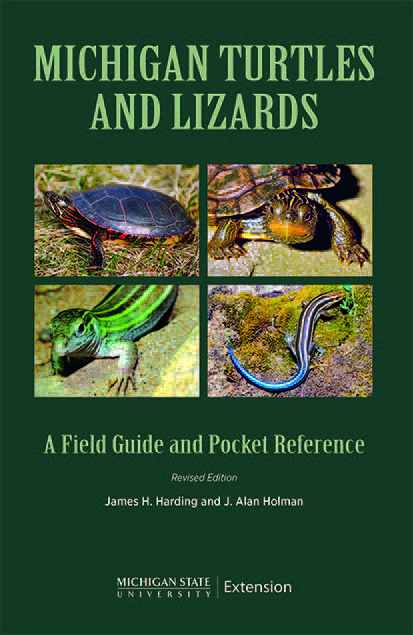 The revision of a popular field guide is now ready and available to purchase from the Michigan State University Extension Bookstore. Michigan Turtles and Lizards (E2234), a nontechnical guide, includes color photos of the 10 turtle and two lizard species that make Michigan their home. The guide was written by James H. Harding, instructor in the MSU Department of Zoology, and herpetology and zoology outreach specialist in the MSU Museum, and the late J. Alan Holman, curator emeritus of vertebrate paleontology at the MSU Museum and professor emeritus of geology and zoology at MSU. It was edited by Leslie Johnson and designed by graphic artist Alicia Burnell, both of Agriculture and Natural Resources Communications. “Turtles, in particular as a group, are among the world’s most critically endangered vertebrates, due to massive and accelerating human exploitation and habitat destruction. There is less information on lizard populations, but many species are also on the decline,” said Mr. Harding. You can use this book to identify a turtle or lizard by comparing it to the photographs or by using the simplified identification keys. The guide includes information on the anatomy, fossil history, distribution, habitats, behavior, captive care and conservation of these animals. It also contains a glossary of selected words and a list of recommended resources. This revision has updated taxonomy and some new text material with additional photos to enhance the text. The range maps have been revised to reflect the latest information on turtle and lizard distribution and there’s a new page on introduced species. This guide makes a great gift for the young and the not so young. Most of Michigan’s native species of turtles and lizards can be found in adjoining portions of Wisconsin, Indiana, Ohio and even Ontario so you don’t have to limit your gift giving to friends and relatives in Michigan. “People working in wildlife research, education or conservation may wish to obtain the revised version; however, ‘nonprofessional’ people who already own the old version need not feel compelled to throw them out and get the new one!” said Mr. Harding. “I hope that our book will help people in this state to become familiar with the species here, and to understand our local conservation challenges with these ancient (but evolutionarily successful) reptiles,” he said. Order the book from the MSU Extension Bookstore at http://web2.msue.msu.edu/bulletins2/product/michigan-turtles-lizards-418.cfm. While shopping the MSU Extension Bookstore website, you will run across some treasures. 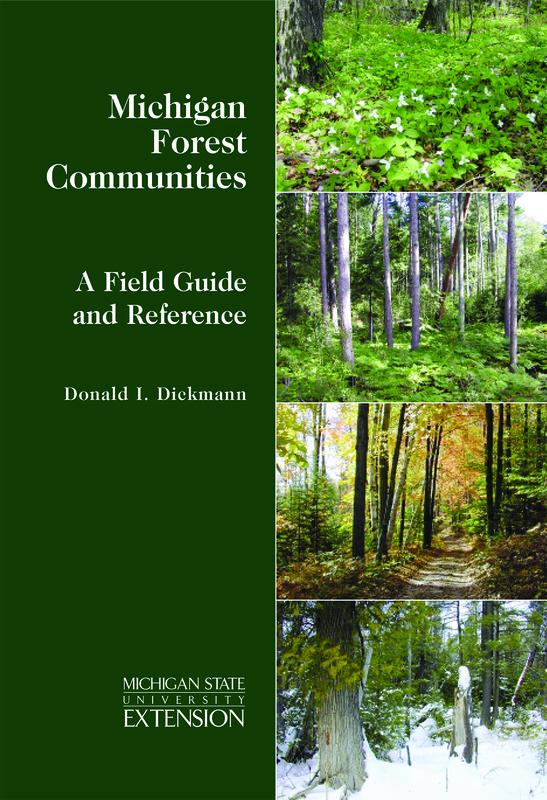 One of them is Michigan Forest Communities: A Field Guide and Reference (E3000) by Donald Dickmann, professor emeritus in the MSU Department of Forestry, now retired. Books that describe tree species abound. But this book provides information about how trees grow together in communities. The book covers the 23 distinct forest communities found across Michigan. Each community is illustrated with photographs and maps. Take this guide with you as you explore Michigan forests for an up-close session in forest natural history. While you’re there, you may spot a turtle! Comments Off on The reptiles return!